I am all about a new SEO tool. I have a bookmark folder dedicated to them, which has Competiton, Backlinks, Keywords and Content folders inside of it, because there was way too many links for one folder. And don’t let me get started about the software on my hard drive. I have a lot of “just might use this sometime” software. So when I ran into BacklinkMafia, I decided to check it out. BacklinkMafia is building combined SEO tool so new it’s not even finished yet, but I wrote to find out the details. 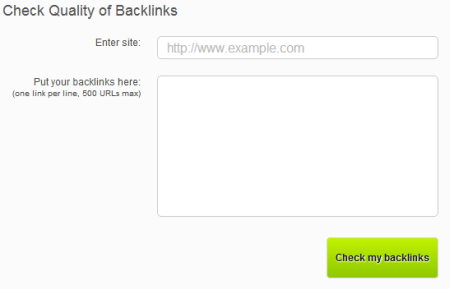 BacklinkMafia now provides link building services but is adding a slew of tools to help you do your own SEO work. And it looks like my site is having issue. Will have to check on that. Shoemaker’s children excuse, you know. What would be cool is if this were combined will a tool that targets text on the page to make sure that the page has not been hacked. A redirect detection would be nice too, although my last redirect hack may not have been caught. It only redirected when the referrer was from Google and the like or when there was a 404. Just because your site is there doesn’t mean it’s healthy. I am not sure how Google Webmaster Tools does it, but telling me I have malware on my site even though it’s uptime is 99% may be useful also. But they sure thought of a lot, so I’m not complaining. You can sign up for a 30 day free trial of the monitoring service here. 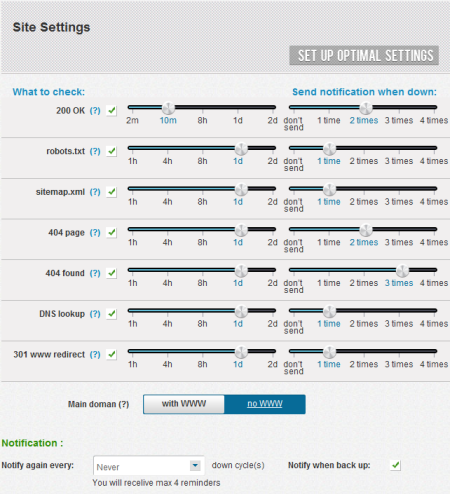 Another one of the tools currently available is their backlink monitoring service. It’s pretty straightforward. Just create an account, add a URL and up to 500 backlinks to monitor. It is good to know that when you get backlinks to your website, you keep them. If the site-wide links you had at another website went down, that would be a good thing to know if your traffic starts dipping. Or if all of your backlink building is done by someone else, it would be a good tool to check up on them. The report is not instant. So after you click the button, BacklinkMafia will send you an email when the report is done. The checker will show you if the links are still active, if they are dofollow or not, the external links on the page and more. You can sign up for the 100% free backlink monitoring service here. Keywords and Rank - Get daily reports on changes in your rank as well as traffic data via Google Analytics. 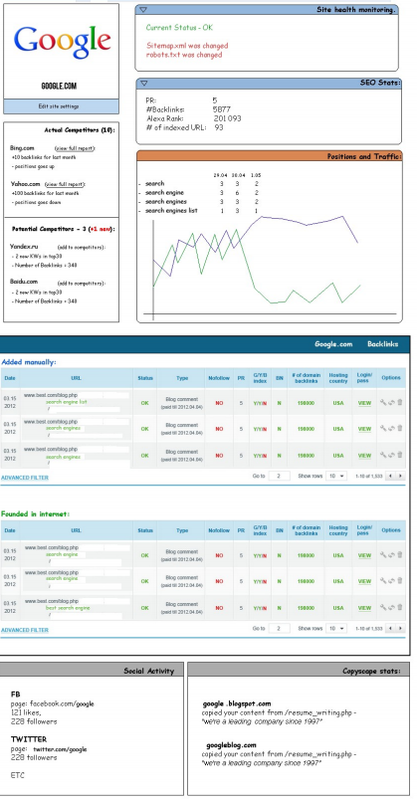 Competition Monitoring - Monitor the same stats on a competitor as you do on your own site and know their moves when they make them. You will also discover your competitors using the tool and compare just how much of the search engine market they control compared to you. Social - Social activity monitoring. 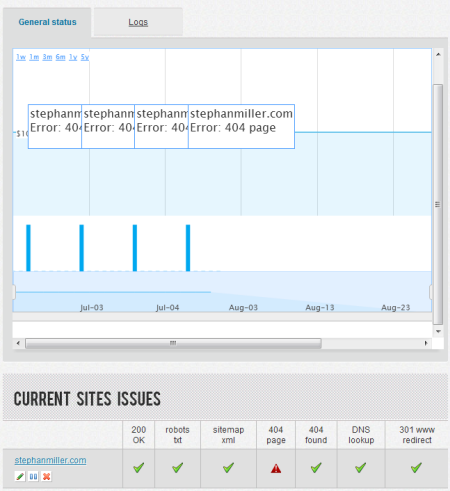 Copyscape monitoring - Know when you have duplicate content or when your content has been duplicated across the web. What would be cool with all these tools is tools for the newbie or the person who doesn’t want to know SEO. 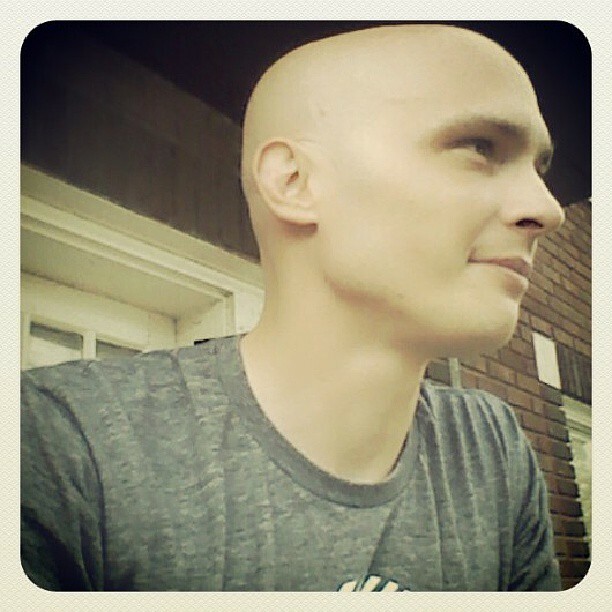 A person who just want’s to write and maybe add a few plugins to Wordpress to make changes, etc. Sometimes just a change of terminology is all it takes. Don’t give me low hanging fruit keywords. Give me a list of article ideas, based on a set of known link bait title templates. Tell me that I should have a menu with 7 specific articles that I need to make my “Popular Posts” or my flagship posts. Don’t make me do the math, although I can. But others, the huge majority of website owners can’t. Reach that market and you have a tool.